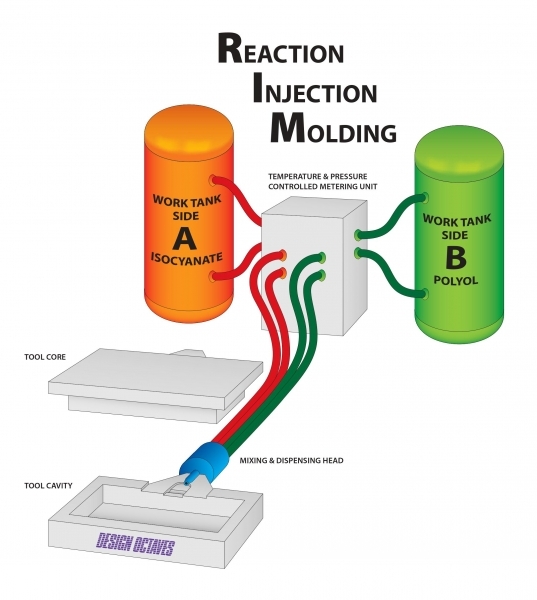 Home › What Is Reaction Injection Molding? Reaction Injection Molding is a low pressure, low temperature process used to mold many types of plastic parts. This process is typically used for the medical, industrial and automotive industries. Reaction Injection Molding (RIM) is often utilized for the molding of strong, lightweight parts that are easily painted. 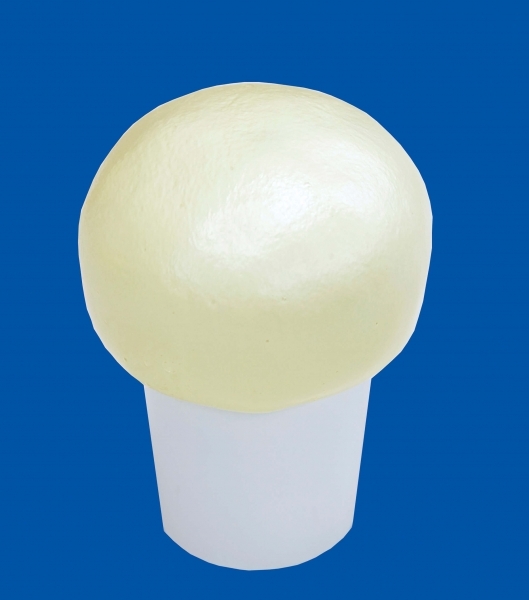 The rigid materials used by Design Octaves come with a UL94V-0 rating for flammability. The RIM molding material utilized by Design Octaves is a two-component system which consists of polyol and isocyanate liquids that are mixed at a high pressure and then metered into the closed tool at a low pressure. The material then expands to fill the tool and is ejected in about 5 minutes. The RIM process begins with polymer liquids (polyol and isocyanate) stored in storage tanks that are eventually dispensed by high-pressure industrial pumps. The polymers are recirculated from the storage tanks to a multi-stream mix-head and back to the storage tanks in a continuous loop. 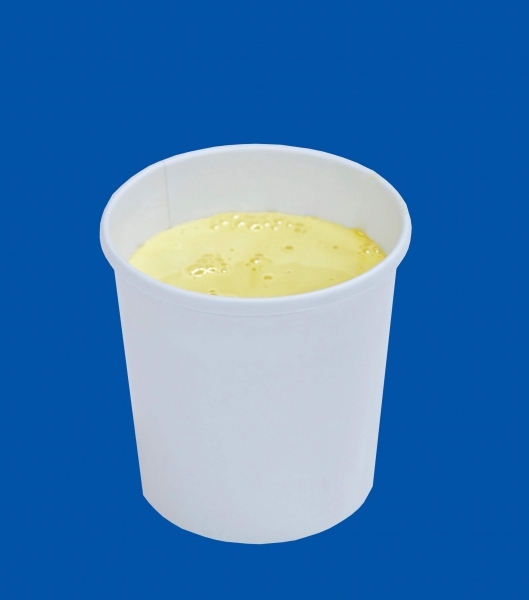 The reaction injection molding (RIM) process utilizes low-viscosity liquid polymers. These polymers expand and thicken through a variety of chemical reactions. After the polymers have been injected into the heated mold they eventually harden. Through the RIM design process raw materials and molding techniques can be selected, and customized, to deliver the desired weight, strength, density and hardness characteristics that you are looking for. The result is polyurethane parts with much lighter weight, and more intricate designs than those created by ordinary injection molding. 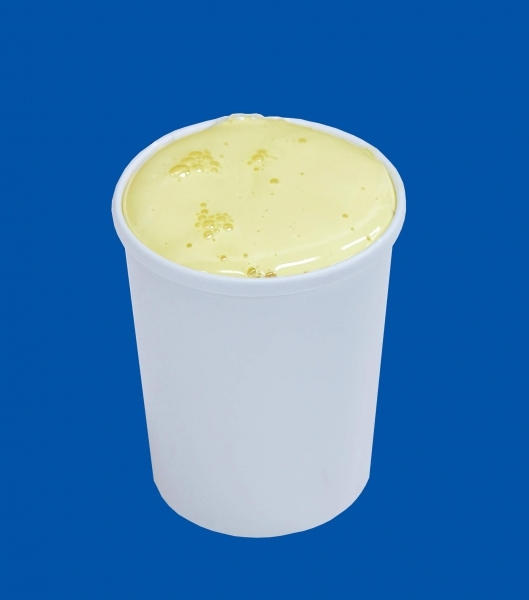 Large Parts - The properties of the liquid polyurethane components enable them to fill molds for very large parts. Encapsulation of Inserts - Inserts of many types can be placed into a mold prior to injection of the RIM material. The RIM material can also encapsulate many inserts during molding. Thick and Thin Walls - The RIM process offers you the flexibility to design parts with significant wall thickness variations. Class-A Surfaces - The surface finish of parts molded with the RIM process allows manufacturers to produce Class A painted parts. Low Cost Tooling Options - The low injection pressures of the RIM process allow for tooling to be manufactured quicker, and at lower cost, than tools used in traditional injection molding, or structural foam. When you work with Design Octaves, your project starts with a review of your CAD files or design drawings, to ensure that your plastic enclosures can be produced via the RIM process. This DFM (design for manufacturing) review gives us the chance to suggest adjustments to improve the manufacturability and function of your plastic enclosure, while keeping tooling and part prices down. These additional services produce the highest quality reaction injection molded parts on the market. Contact Design Octaves Today for Reaction Injection Molding! Looking for an experienced RIM molding expert? We create high-end, limited-run RIM (Reaction Injection Molding) enclosures for a multitude of industries. Contact us for more information on our RIM design process, or Request a quote for your next project today.